YOUR NEW HOME IS LOCATED IN BRADEN PARKS' GATED COMMUNITY in the circle of the cul-de-sac and is Centrally located with easy access to Kilpatrick Turnpike and local amenities. 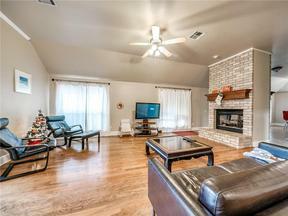 This beautiful home features hardwood floors, study, double-sided fireplace, open-concept living, stainless steel appliances in a spacious kitchen with lots off storage, Master bedroom suite with Jacuzzi tub, double sink and large walk-in closet, and more. Your beautiful back yard will bring many hours of peace and quiet as you enjoy nature.